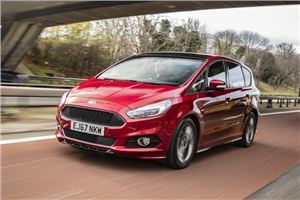 Ford is the biggest-selling car maker in the UK and produces some of the most popular models on the road. 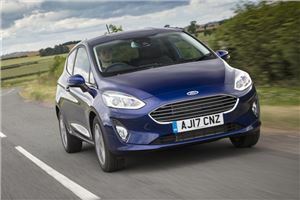 Prime among these are the Fiesta and Focus, but there are plenty of others in their line-up to appeal to buyers looking for a car that’s easy on the wallet when it comes to insurance. From crossovers through SUVs and MPVs to the iconic Mustang, Ford has one of the most diverse ranges, so here are our top 10 picks with low-cost insurance rates. 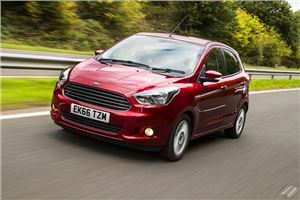 With the demise of the Ka, the baton has passed to the Ka+ as the cheapest new Ford model. This brings it into competition with some of the most competent small cars and supermini we’ve ever encountered, including Ford’s very own Fiesta. Unfazed, the Ka+ makes it case with low running costs and a Group 1 insurance ranking. It’s not the most exciting car to look at, or to drive, but the Ka+ gets it right with cabin quality, space inside for five and a generous boot of 270-litres. It’s even well equipped for this price-point. These are just examples and we've made a lot of assumptions. Your circumstances will be different - so make sure you check to see what it will cost you. We've used Confused.com for these sample quotes. Another class-leading car from Ford, and we don’t just mean in sales terms. 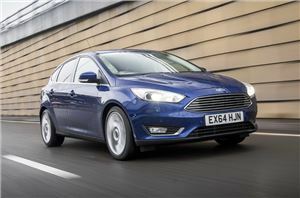 The Focus is best in its sector for the way it blends superb driving ability with impressive comfort and refinement. That came about with an update in 2014 that showed Ford listened to its customers who wanted a cushier drive. At the same time, Ford improved fuel economy and lowered emissions to make the Focus cheaper to own. That’s underlined by a Group 10 insurance banding for this 1.0T 125 Style model. The Mondeo might not be the six-figure seller it once was, but you’d be daft to ignore it when considering a mid-sized family hatch or estate. Take a look and you’ll find a car with masses of cabin space for people and luggage, and it’s very well put together and kitted out to a high level as standard. 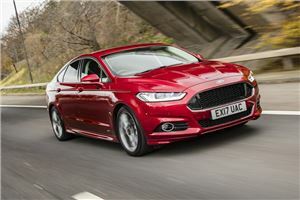 Ford has also employed a range of downsized engines that work admirably in the Mondeo. The 1.0-litre turbo petrol is great, but insurance-conscious buyers will be drawn to the 1.5 TDCi 120 that returns a combined 78.5mpg and 94g/km in hatch form. 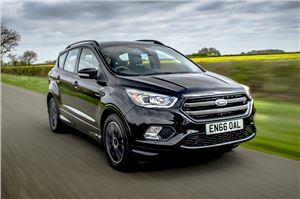 The Ford Kuga has been around long enough to have morphed from being a mid-sized SUV to a mid-sized crossover. None of that takes away from it being one of the better cars in its class, a lot of which comes down to its excellent balance between ride comfort, handling and the inner calm of its cabin. To get the lowest insurance rating in a Kuga, you’ll be looking at the 1.5 Turbo petrol engine, which is no hardship thanks to front-drive only saving weight and a slick manual gearbox. Ford’s S-Max is the only people carrier that has ever made using an MPV cool, no matter what all those The Apprentice wannabees think. Cleverly mixing seven seat versatility with the balmy driving pleasures of the Mondeo with which it shares its mechanical undergarments, the S-Max is soothing and enjoyable to drive. A bit of a compromise is needed to benefit from the lowest insurance group, so you’ll need to go for the least powerful turbodiesel. Mind you, 56.5mpg and 129g/km in a large MPV are not to be sniffed at. This second incarnation of the C-Max perfectly shows evolution in action. Where the old model was good to drive but lacked seating versatility, this Ford retains all the good stuff but now comes with rear seats that do all the folding, sliding and stowing most owners will need. It’s not quite as practical or well thought out as some rivals, but a Group 10 insurance ranking softens that blow and the 1.0-litre Turbo petrol engine is a real pleasure to use. 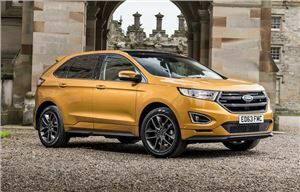 Shipping models from the USA to the UK has rarely worked well, but Ford has pulled off that trick with the Edge. The styling might be a bit outré for those more used to sober German fare, but it stands out in a crowd and is complemented by a fine drive. Inside, the Edge is well put together and plushly appointed in this Titanium trim chosen here. Being a Ford, the price is reasonable, too, and insurance in the Group 26 bracket makes it cheaper to get cover for than many other large SUVs. 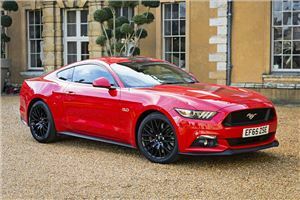 A financial tug o’ war between choosing a Mustang and keeping costs realistic will lead you to the 2.3-litre turbo four-cylinder petrol engine. Okay, it doesn’t have the V8’s soundtrack or surging brawn, but work the smaller motor and there are rewards to be had. Notably, less weight up front makes the 2.3 the better handling model. If you can square away the looks of the Ford without the V8 muscle music, you’ll benefit from lower insurance payments thanks to its Group 41 rating. 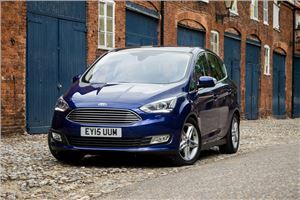 Small MPVs may be getting a hard time from their crossover cousins, but the Ford B-Max has a party piece like no other: its pillarless join between the front and rear doors. This is achieved by the back doors sliding rearwards, leaving a sizeable aperture for passengers to get in and out. 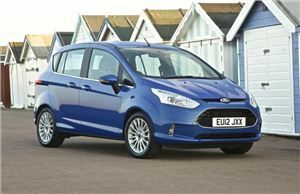 With practicality given a big tick, this Fiesta-based MPV gets another for the way it drives. You will need to choose the plodding 1.4 petrol to keep insurance in the Group 7 bracket, but it does come with a temptingly low list price before you even factor in a discount. Where are the quotes for a 70 year old actually drives these old fashioned motors?